Welcome to Edgeworks Climbing! We're passionate about climbing and we've been bringing that passion to the Tacoma since 2004. We pride ourselves on 17,000 sq ft of climbing, a unique top-out bouldering section, and a full range of climbing services and classes. Check out our day rates or membership rates, or if you are new to climbing be sure to read our First Visit FAQ. Below are some great options for your first visit! 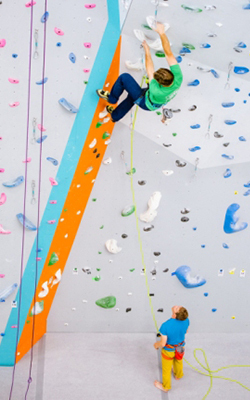 Are you new to climbing or to the gym and want to experience what climbing is all about? Come climb with us and experience the excitement of indoor climbing! 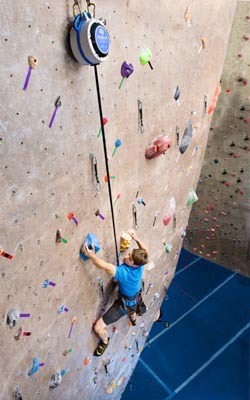 IMPORTANT: Climbers under the age of 18 must have a parent or legal guardian sign a liability waiver. This course covers the basics needed to start rope climbing; including how to secure a harness, tie in as a climber and complete the proper system checks. 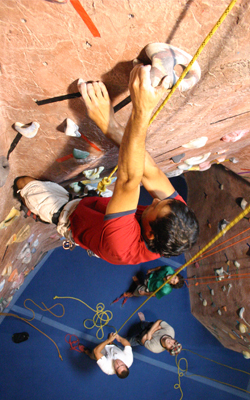 You will also learn how to belay, catch a fall and lower your climber back to the ground. Cost: $49 FREE for Members! Monday - Friday: 7:00 p.m.
Saturday - Sunday: 12:00 p.m. and 3:00 p.m. Need someone to belay (operate the ropes) for you? Looking for private instruction? Or just want an hour of personalized guiding from one of our staff? Our private lesson service can be customized to fit your needs. Call 253-564-4899 Today to Schedule your Climb!